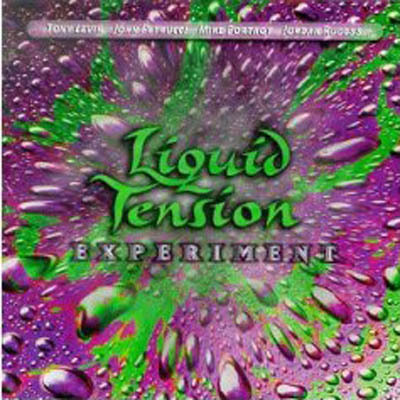 Liquid Tension Experiment is a side project of Dream Theater, and is pretty much that band minus the vocals. The only difference between the DT lineup and that of LTE, besides the subtraction of vocalist James LaBrie, is that Tony Levin is on bass rather than John Myung. The emphasis of the music is on proficiency, improvisation, and band interaction. The band released two albums' worth of material before disbanding the project; in addition, they have stated it is unlikely there will be a LTE3. Some LTE songs, however, are still played during live Dream Theater shows.